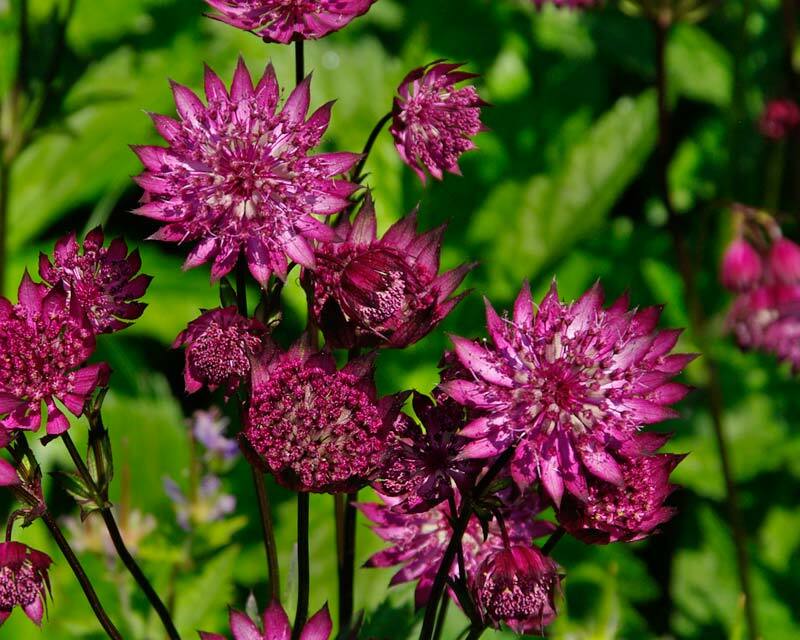 Astrantia major, or Masterwort is a hardy and herbaceous perennial border plant that easy to grow and will last for many years. 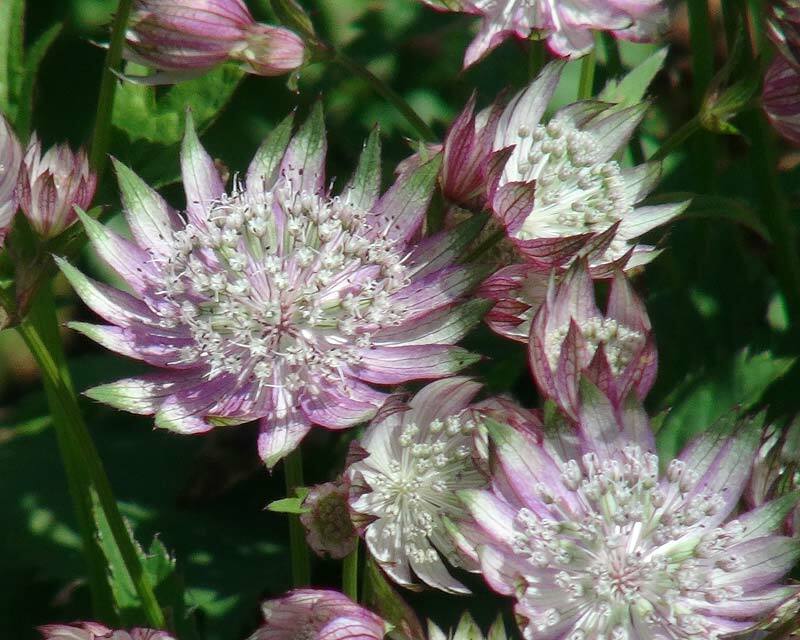 It has very pretty half-moon shaped flowers on erect stalks that last throughout summer into early autumn. 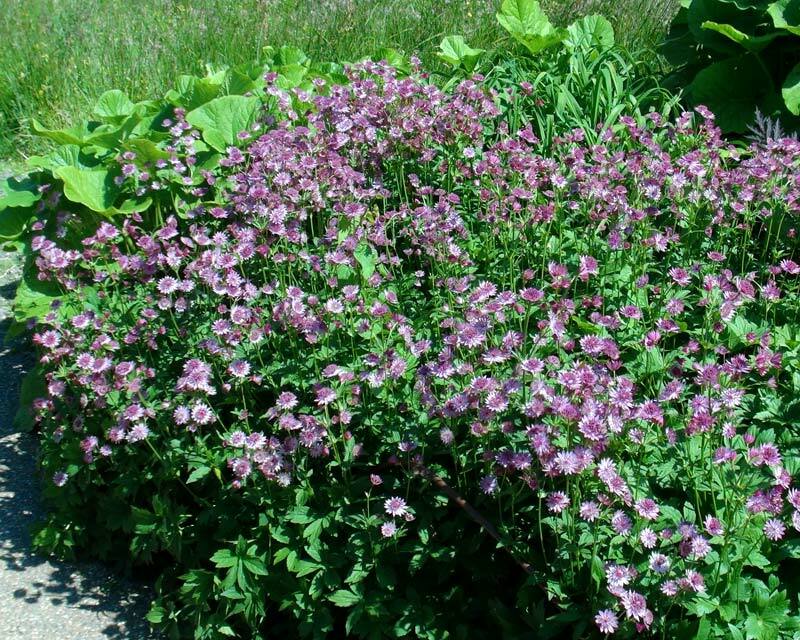 The clump forming foliage is delicately palmate and dense enough to make a decent ground cover. 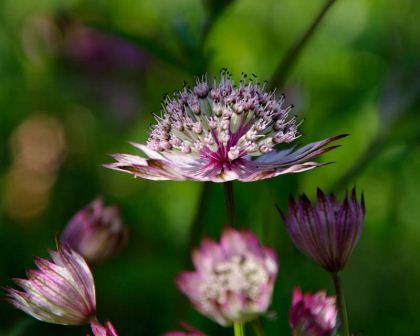 It self-seeds easily and the flowers cut and last well, though they also make excellent dried flowers, looking similar to paper daisies (but flatter domed). 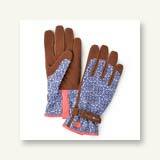 Cutting regularly is recommended as it stimulates further flushes of flowers. 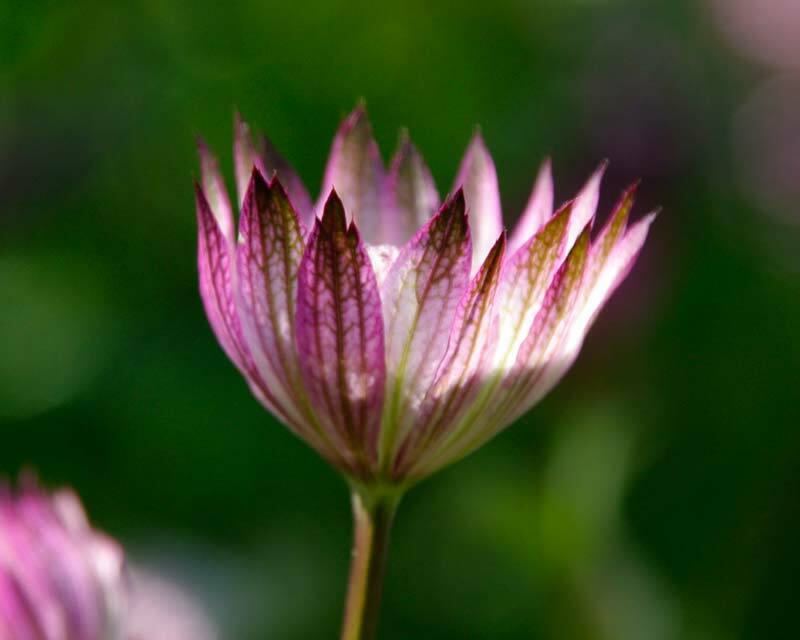 Originating from the woodlands of the Balkans, its a very versatile plant being quite happy in full sun but with thrive equally in partial shade and even survive in full shade (though not so prolific in flower). 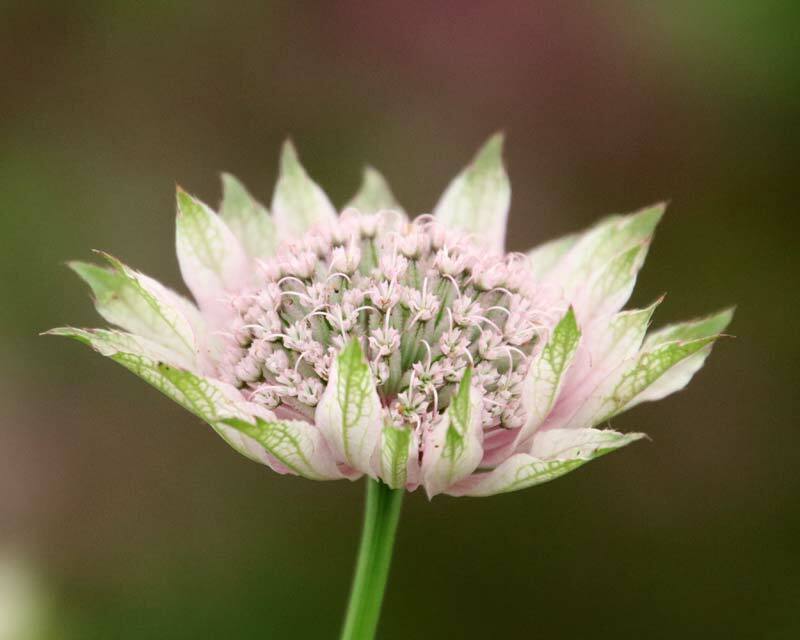 In a cottage or modern garden it is the perfect mid border, herbaceous perennial plant and goes particularly well with Hostas which are equally adaptable. 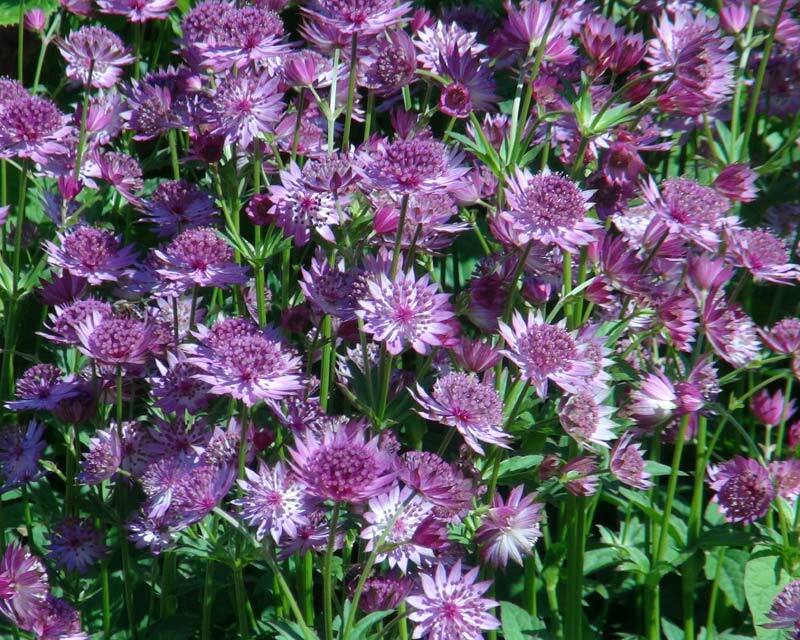 Soil: Astrantia will grow in most oil types but prefers a good, rich, friable and well drained soil. 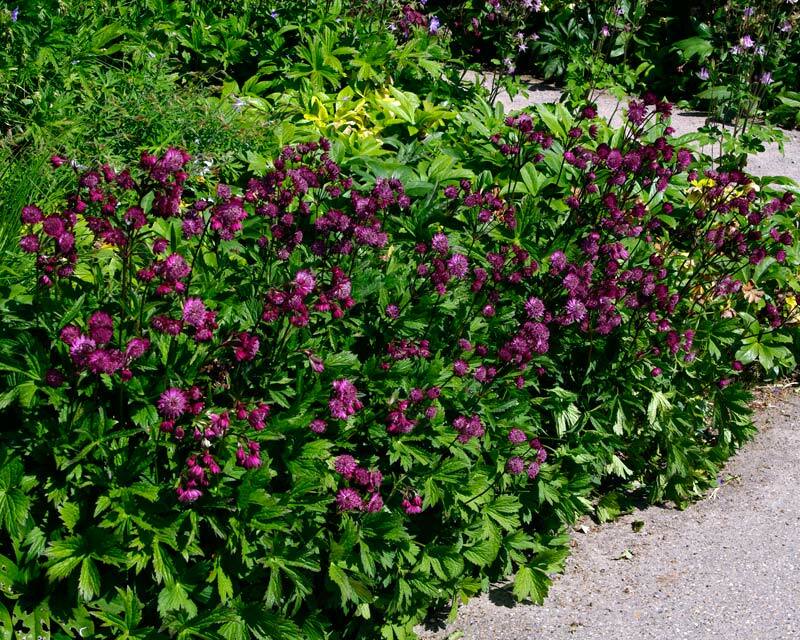 They like regular (but not excessive) access to water and do not go so well in drought conditions, though when established and well mulched they can survive with a bit of help from your watering can now and again. 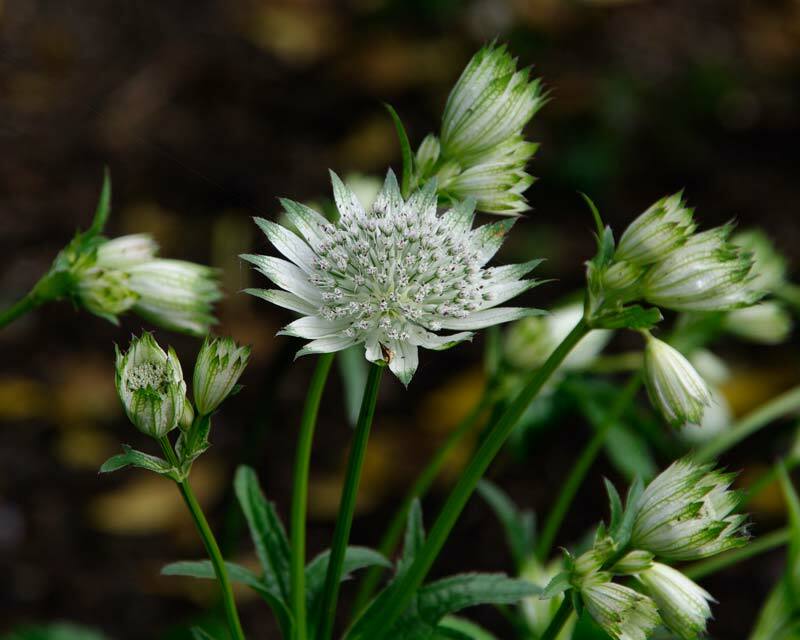 Maintenance: These are really self-sufficient plants, even re-seeding with the utmost ease, though they can take over and fill out your borders if you let them. 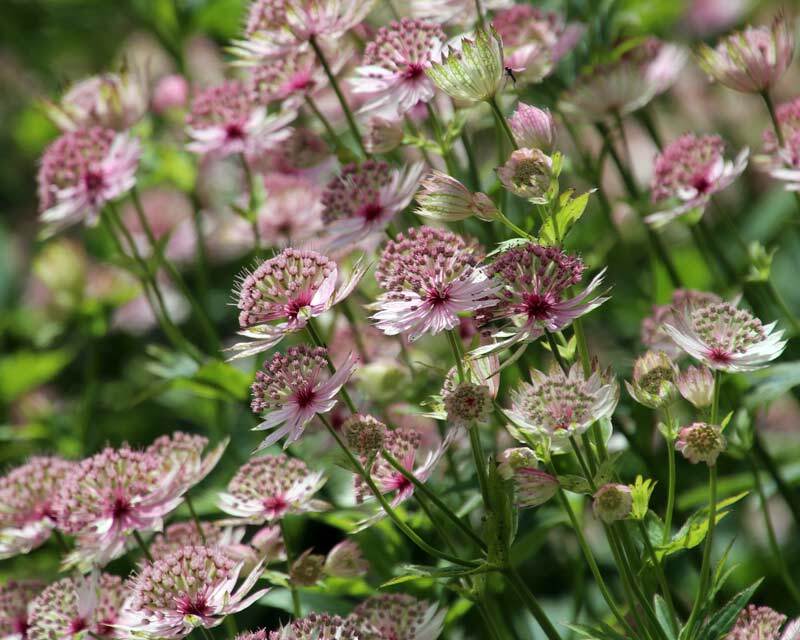 Propagate by division in spring or sow from seed in trays in cool soil (e.g. 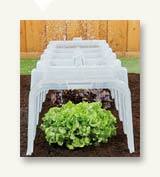 not heated trays or greenhouse) as they are of cool woodland origins. Diseases: In damper conditions (they do go well around water features) slugs and snails will chomp on the foliage if you let them. 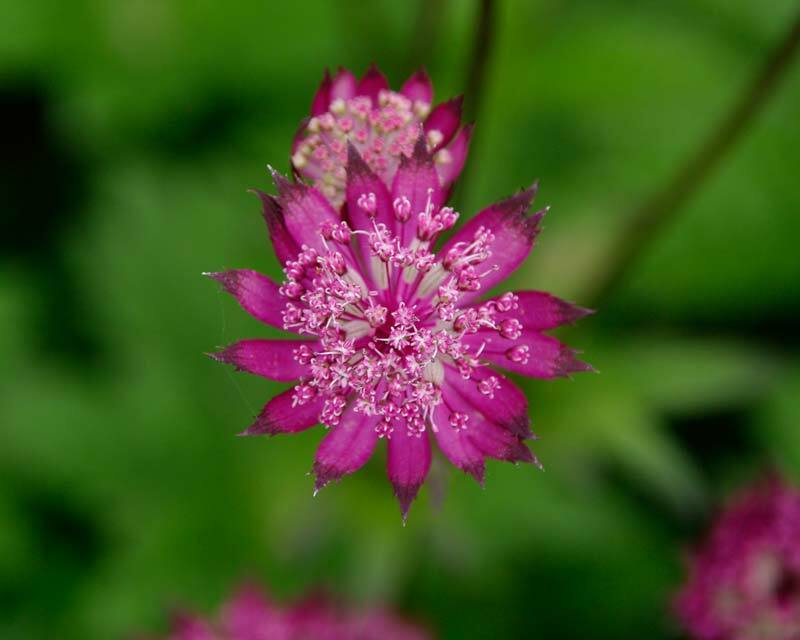 Powdery mildew and aphids have been noted on rare occasions but these are generally very robust plants and tend to fend off any invaders very easily. 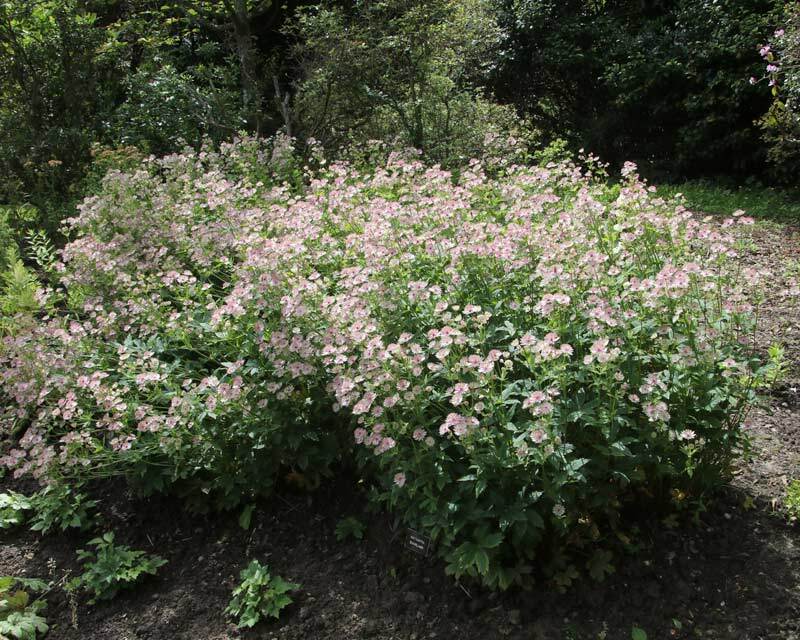 Other Species: Eight species in the genus but this is by far the most commonly grown. A.major subspecies Maxima has achieved an RHS certificate of merit. 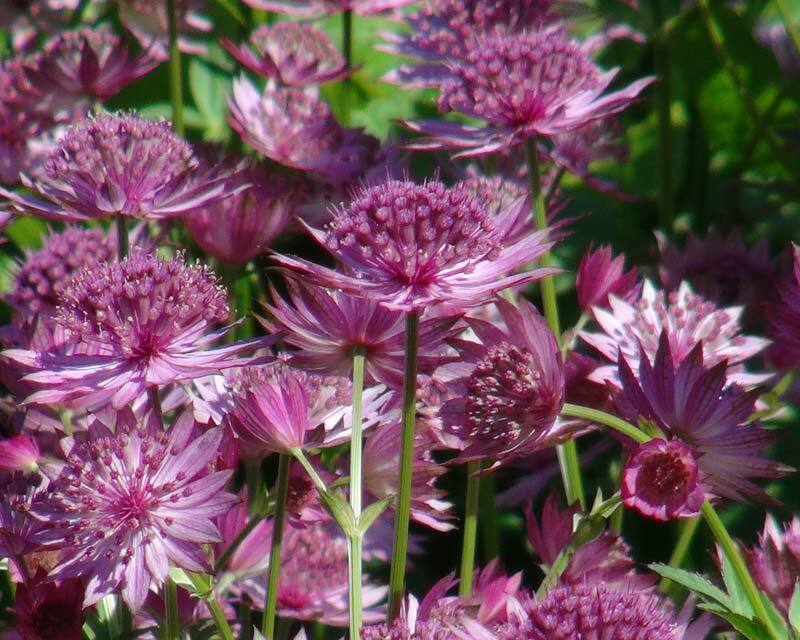 Comments: No self-respecting herbaceous border would be complete without Astrantia. 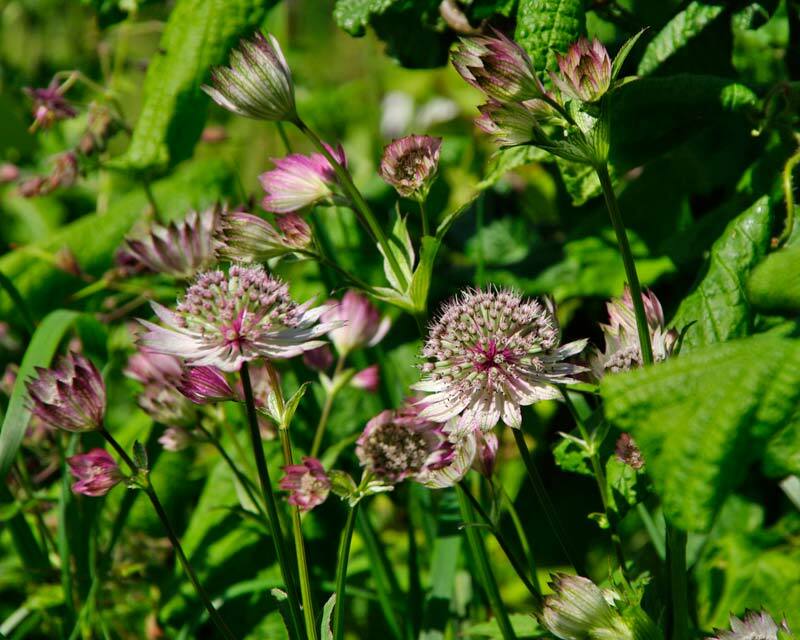 Christine Brimson - Manly: Is it worth growing astrantia in Brisbane ( bayside area). Webmaster - Sydney: Hey Christine, they are suited to zone nine and Brisbane is in that zone, so I'd say, yes, have a go, though I would suggest that they are not in full sun all day. Keep them shaded from the strongest afternoon sun and you should be fine..